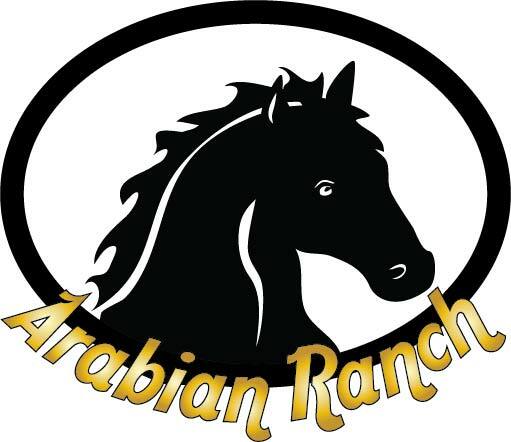 Shown above is a wrought iron hanging sign for an Arabian Horse ranch, cut out in a silhouette of a horse's head and the ranch's name., We precisely cut silhouette signs like these with our water jet cutter, which is computer controlled. After cutting and grinding, the sign can be metal-coated with bronze, brass, copper, stainless steel, or rusty iron, or alternatively it can be painted in a variety of colors., Also, it can be sandblasted in some areas to produce contrast for features of the image. This plaque is 2.5D (flat relief) ; the name is made separately and after it is brass-coated, it is welded in front of the horse's head, which is painted black.